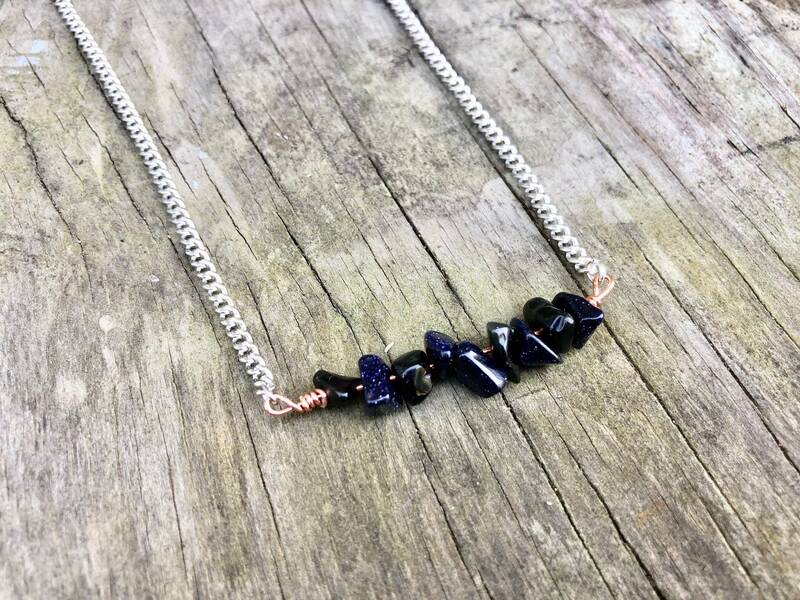 This stunning necklace features blue goldstone chip beads and a copper accent on bright aluminum chain. 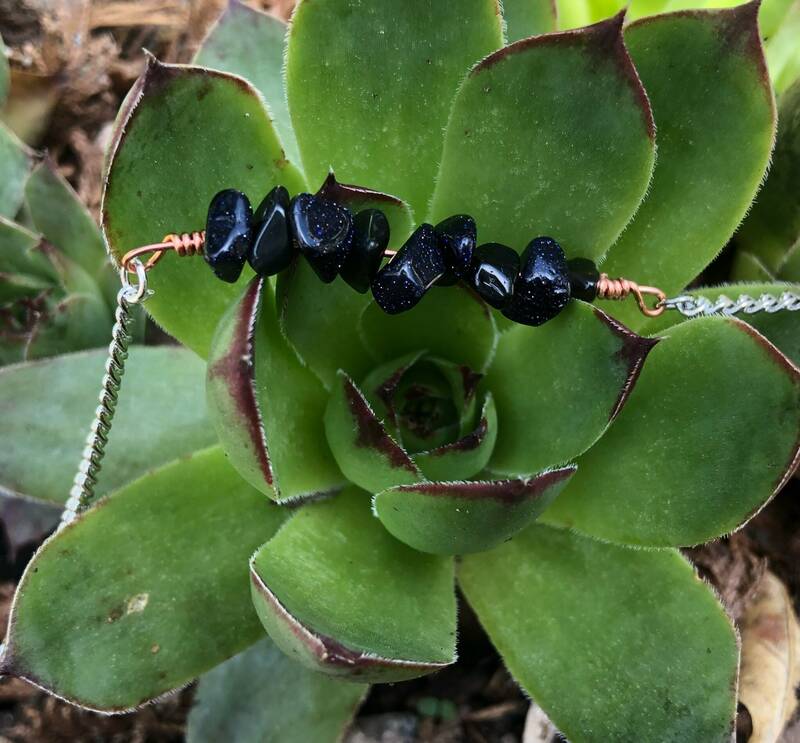 Measures 14 inches with a 5 inch soldered stainless steel extender chain. Lead and nickel free.